The Owner Cover Shot Hook is a light finesse style hook for rigging small worms and baits. 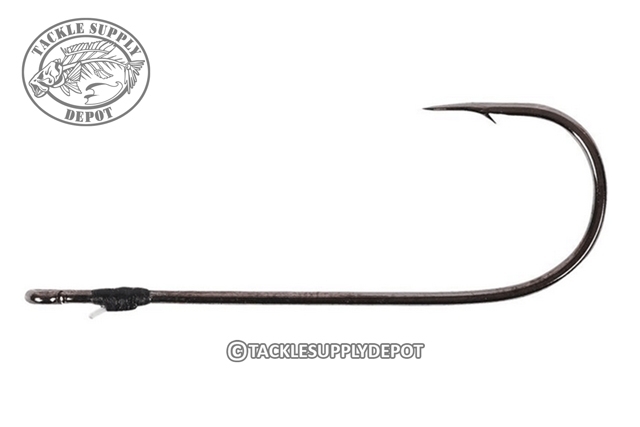 Typically used for drop-shotting, the hooks are made from fine wire for easy hooksets with light lines. The monofilament bait-keeper allows soft, supple baits to be threaded over it without damage. The keeper is meticulously wrapped onto the shank to prevent it from sliding or spinning. Features include a Super Needle Point and Silky Gray frictionless finish. Fast response quick shipping will use again.